I first saw the Dancing Diamonds Gem Bag at Quilt Con in Savannah almost a year ago. Bethany Miller designed this bag for Plum Easy Patterns and made a version out of Me + You Batiks. I saw it on display at the Me + You booth and right away bought the pattern. 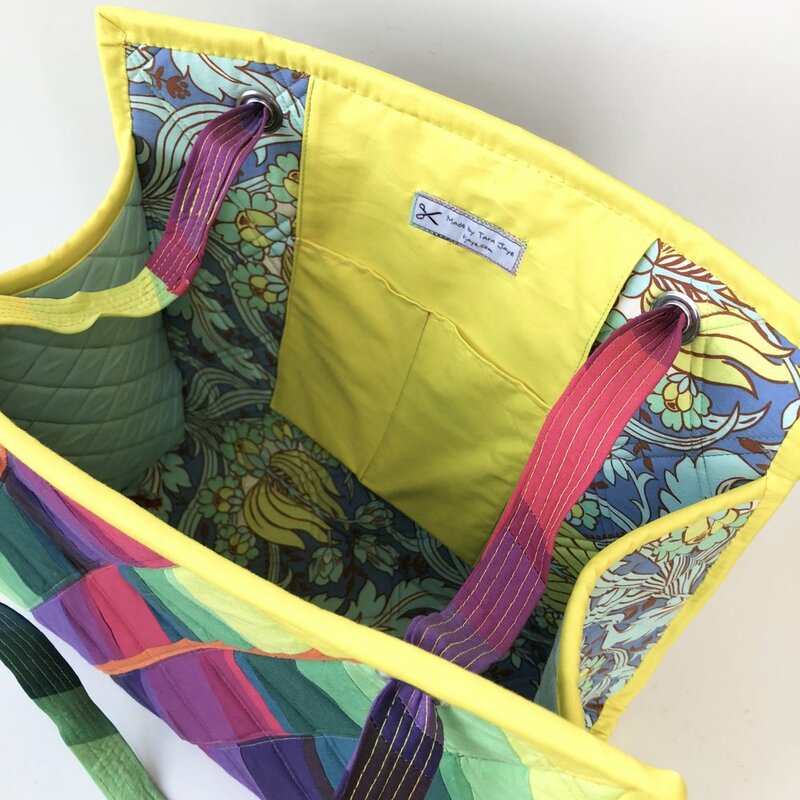 I loved working on this bag from start to finish, and I especially adore the finish! I added a hanging pocket to the interior of my bag, and I've included instructions at the end of this post in case you make your own and want the pocket. You'll want to make this bag. It's a blast to work on, is so roomy (I'm thinking travel, retreats, and coffee shop work dates) and looks AMAZING. I knew I wanted solids for the Dancing Diamonds panel, with a print for the lining and gussets. While rummaging through my stash of solids, this tropical rainbow started taking shape. 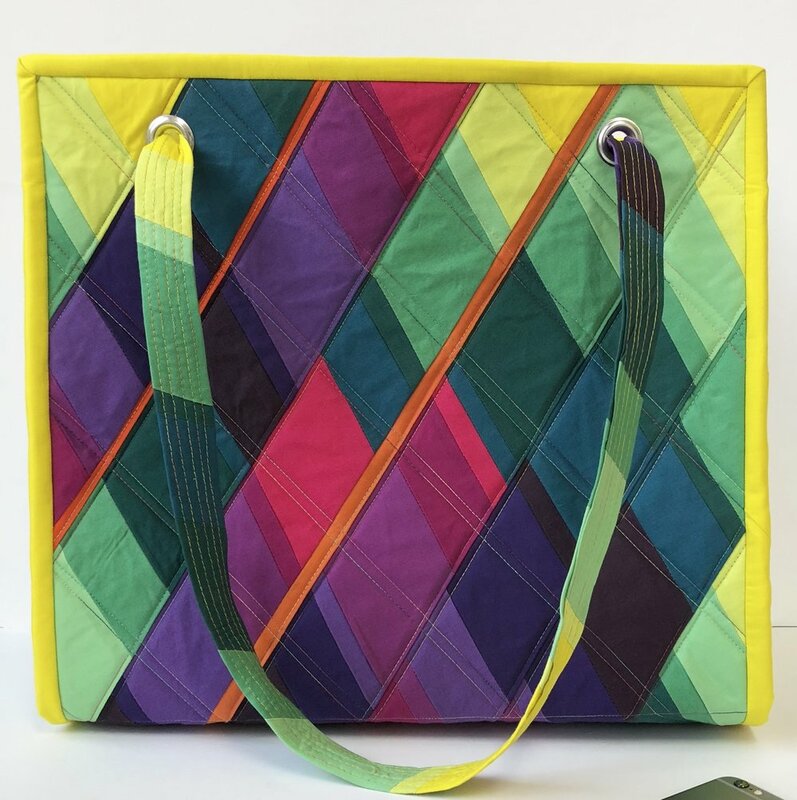 The Dancing Diamonds Gem Bag pattern comes with an interfacing template sheet that you just sew onto and leave in. It makes creating this piece of art so easy! I quilted the panels for my bag using 50 wt Aurifil in Marrakesh, and constructed the bag and topstitched using 40 wt Aurifil in Lemon Ice. The leftover strips from the exterior are the perfect width for making the bag straps! I used Bosal Foam for this bag and I'm a believer. It really keeps it's shape and holds up. 1. Fuse interfacing to wrong side of fabric. 2. Right sides together, sew long sides and bottom using a 1/4 inch seam. Leave top open. 3. Clip corners and turn. 5. 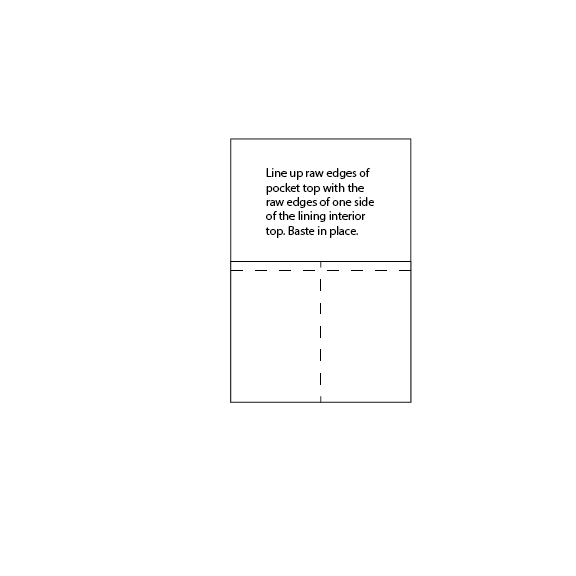 Fold the bottom up the pocket halfway and stitch sides and down the middle, creating a divided pocket. 6. Line the raw top edge of pocket with raw top edge of bag lining and baste in place. The Dancing Diamond Gems Bag!